Sometimes you come across a band and take a few listens and are blown away. Well that is exactly what happened to me with Alabama Shakes. The band that was formerly known as just The Shakes are from Athens, Alabama and are now known as Alabama Shakes. Their music is a bit of a twist from what you might currently hear, offering a variety of garage, blues, rock, and a whole lotta soul. They are a somewhat fresh and undercover band but are currently drawing some high praise of the likes of Adele, and Bon Iver. 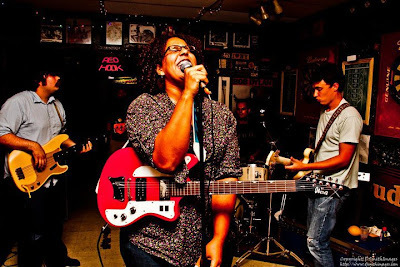 Lead vocalist Brittany Howard can play a mean guitar and her vocals will cause a double take. Check out a few live videos below 'Hold On', 'I Found You' and 'You Ain't Alone' and judge for yourself.